Adventure Kayak Outfitters is the most experienced outfitter for kayak tours and kayak rentals in Sarasota, Bradenton, Siesta Key, Longboat Key, Anna Maria Island and Venice. Check out what some of our clients have to say about their experiences with us. Adventure Kayak Outfitters Tours & Rentals Google Reviews 4.9 out of 5 stars with 102 reviews. Five of us had a wonderful tour with Dan! We came from all over the country, including Florida, and our group included expert and less experienced boaters. We had a great time and learned a lot. The highlight had to be seeing a manatee with her two babies!– Roseanne C.
Amazing! I’ve been kayaking a few times before but this was hands down one of the best experiences. We kayaked through mangrove tunnels, watched cormorants dive around us, and saw a momma and baby manatee in the bay! Our guide was very knowledgable about the area we were kayaking in and the wildlife. 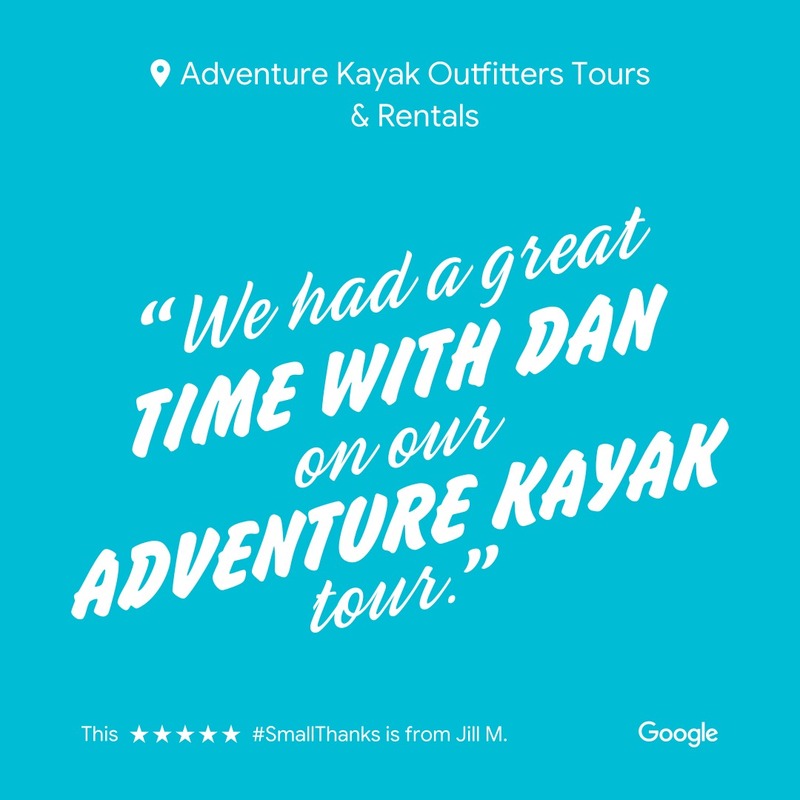 – Ali M.
These and many other Google Reviews just like it for Adventure Kayak Outfitters Tours & Rentals can be found here. Adventure Kayak Outfitters Yelp Reviews 5 out of 5 stars with 8 reviews. Dan was a great tour guide. Very efficient process, immediately saw pods of manatees, comorants and Covina. Mangrove tunnels are unique experience. Went through 3 tunnels. Dan was very knowledgeable and concerned for the environment. – Susan S.
Incredible tour! Our guide, Dan, was very knowledgeable and spent the extra time to stop and look for manatees and dolphins. We went in May which was the perfect weather and a perfect tour group size. – Meg S.
Adventure Kayak Outfitters loves what we do and it shows in our fantastic tours by our expert guides. Give us a call at (941) 779-7426 or book a tour online today!